50 years ago tonight, on Saturday, January 27, 1951 “The Sam Levenson Show” premiered on CBS. 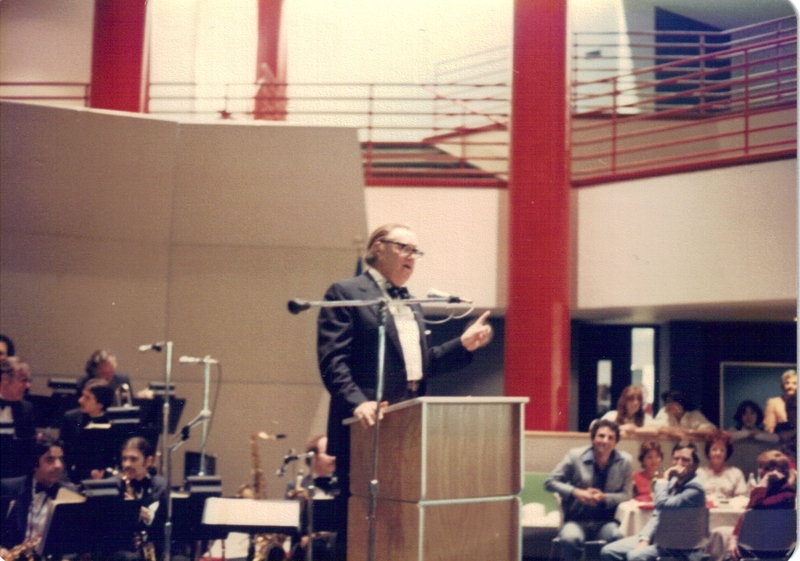 Sam Levenson emceeing an event at Kingsborough Community College in Brooklyn, circa 1978. Levenson was a former New York City high school Spanish teacher who took to performing in the Catskills and became a humorist and TV personality. This 30-minute program was a mix of light comedy and discussion. Levenson’s monologues were about his life experiences and other topics that his audience could relate to. One part of “The Sam Levenson Show”brought on celebrity guests and their children, who would discuss problems they were having. Levenson presumably tried to help by making suggestions based on his years as a schoolteacher and father… and no doubt there was humor injected into the conversation. 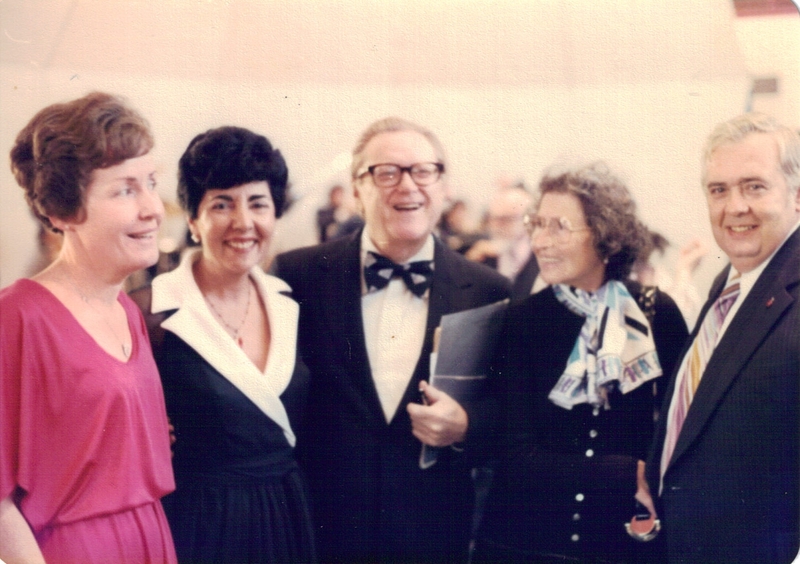 Levenson with a group, including this writer’s parents, at the same event in Brooklyn, NY, circa 1978. Levenson was also a best-selling author. His books include In One Era & Out the Other (1973), You Don’t Have to Be in Who’s Who to Know What’s What (1979) and his autobiography, Everything But Money, published in 1966. Sam Levenson died in 1980 at the age of 68… but 50 years ago tonight, he was on top of the world as “The Sam Levenson Show” premiered on CBS.